I love SO MUCH this one! Thank you very very much! Undertaker! I love this scan ... he really is suited to be the Mad Hatter. Waouh! Too beautiful! Undertaker is perfect for this role! ^^ thanks for sharing! Ahhhh Undertaker~ <3 Such a pretty scan, thank you <3 ! This one it's really Cool ! I love it ! 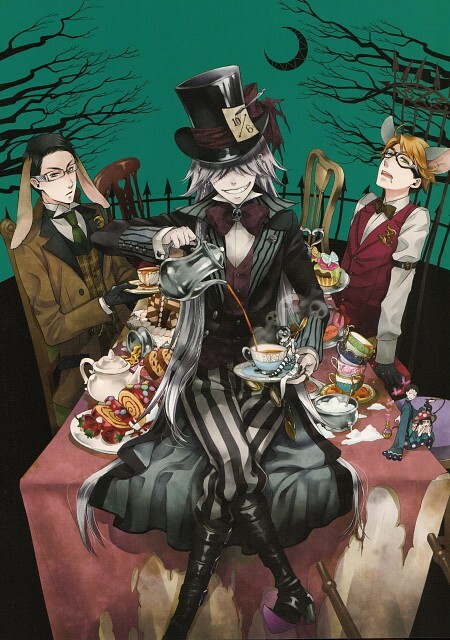 Undertaker as The Mad Hatter is too perfect! i love this, if only sebby was in it and it would be perfect, unless I missed it?